Over the weekend (the day before Mother’s Day, to be exact), Edward Sharpe & The Magnetic Zeros debuted the video for their contribution to the star-studded charity mom comp that was released earlier this month. 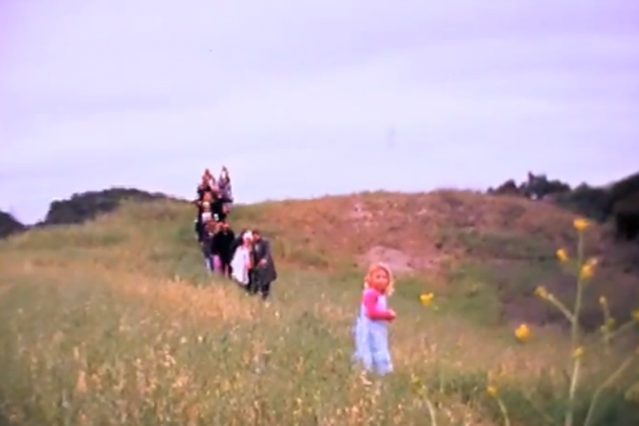 The track is aptly titled “Mother.” Directed by frontman Alex Ebert and consisting largely of “home footage” of a big, hand-holding, commune-style family (presumably the band and their moms) led by Ebert and frontwoman Jade Castrinos, the clip could only have gotten Edward Sharpe-ier with the addition of a tambourine and close-ups of bare feet. Check out the video (and song, which draws heavily from Nico-era Velvet Underground and ’70s folk) while you wait for Here, the band’s sophomore effort, which drops May 29 on Vagrant. For “Mother,” however, you’ll have to head to a Starbucks, as the track only appears on the Every Mother Counts compilation released in tandem with the chain’s label.